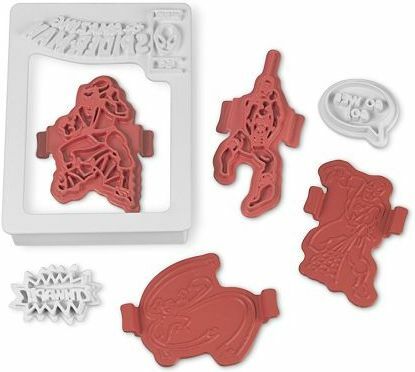 cookie cutter set makes it easy to transform ordinary cookie dough into custom comic books, complete with superheroes, villains and the most exciting words in the Marvelâ„¢ universe. 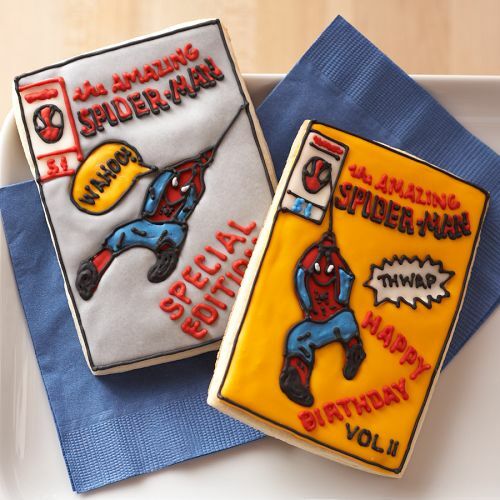 Creating your cookie comic book is fantastically fun, and best of all, you get to eat the results. 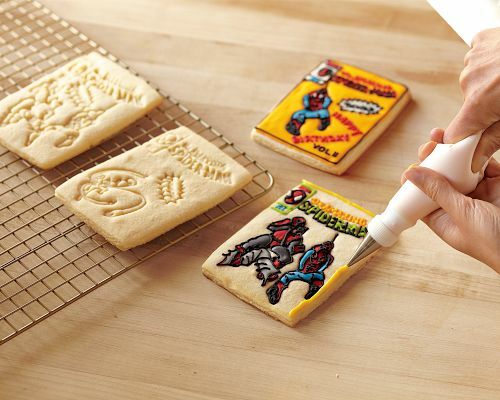 After baking, bring your heroic cookies to life with colorful icings and sugars, and let the pursuit of justice begin!